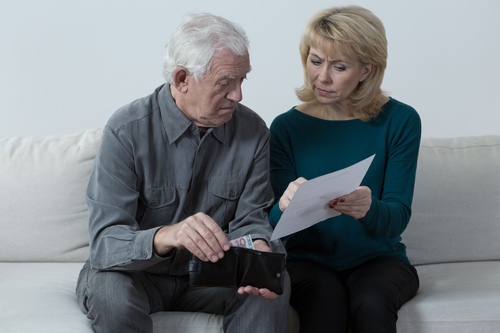 There are many difficult conversations adult children must have with their aging parents, and one of the most difficult is, of course, about money. Sometimes even the most careful retirement planning falls short when illness or cognitive decline are part of the picture. While we have no problem talking in general terms about how well we are doing, as a society, specific conversations about money are uncommon. I mean, really, when was the last time you asked a friend about how she budgeted money, or your brother-in-law how much money he makes? If you’re like most of us, probably never. It’s a very personal conversation, and most of us feel it’s no one else’s business how we spend our money. It’s no different when it comes to talking to your parents about their financial situation; in fact, it’s likely an even more off-limits topic with them! Having said that, it’s a topic that must be discussed. That doesn’t mean we go in demanding answers, but it does mean we need to figure out a way to broach the subject. So what do we need to know, and how do we do start the conversation? My mom and dad made it easy for us in one way—they brought it up. After my dad retired, he and my mom had new wills drawn up, along with living wills and powers of attorney for themselves. At that point, they were in their early sixties, my dad had a great pension, and they seemed well able to handle the financial aspect of retirement. My dad began to show signs of dementia that initially manifested itself as forgetfulness and repeating things he had just said. Within a short time, though, his previous fastidious recordkeeping habits began to slip, his desk was piled with stacks of unopened mail, and now he was unwilling to talk about anything to do with his finances. I noticed this for the first time on a visit in 2006 and offered to sort through his piles and file everything for him. He adamantly refused my help. The next year, in 2007, my mom told me she had started getting collection notices in the mail from things like the utilities, phone company, credit cards, and even their mortgage. My dad responded by setting up auto billpay in Quicken. Good solution, right? Well, it was—until his computer crashed and he lost all the data. By then, his dementia had progressed to the point he just was unable to reinstall anything on his computer, but he still refused to even let my mom help. Finally, after about six months, he came out to breakfast one morning and told my mom she needed to take over paying the bills because he couldn’t keep up with it anymore. This was no doubt one of the most difficult admissions he ever had to make. My mom didn’t have a problem with taking this on, but since she knew very little about the specifics of their finances, and even less about using computers (and no interest in learning), she was completely lost trying to figure out what their financial situation was. Their bills were all being delivered online to email accounts that were no longer accessible, so she had no idea what needed to be paid. I spent my vacation sorting things out, and discovered several of the red flags that often demonstrate a parent is no longer able to manage their own finances. envelopes with notes to “pay this” or “call and cancel” written on them. Sadly, even those notes hadn’t helped my dad take care of things he had done his whole life. I also discovered he never filed his tax return for the previous year. It was heartbreaking for me, and a frightening realization for my mom to know how bad the situation had become. Up until this point, my siblings and I thought we had everything we needed to handle their financial matters—after all, my parents had prepared the needed documents years earlier. What we learned the hard way, though, is that those documents are not all that’s needed. Who holds the mortgage on their house, or has it been paid off? If they rent, who do they send the rent to? What is the address? How many credit cards do they have? Are they joint or individual accounts? Do they have a will? Who have they named as executor/executrix? If each other (as in my parents’ case), is that person still competent to perform those duties? Where do they keep important papers? In a file cabinet, safe deposit box, a safe, a shoe box? If they have a safe, what is the combination? Where are the keys to the safe deposit box if they have one? Do they have enough income to cover their living expenses? What are the sources of their income? Pension? Social Security? Investments? Will they outlive their money? If that’s a possibility, what is their Plan B? Are their bills on autopay? If so, what are the account names, user IDs and passwords? Where do they bank? Do they have accounts in more than one financial institution? Do they have a “personal banker” assigned to them, or work with anyone in particular? Do they have a trust? If so, does it name a successor to take over if one or both parents become incapacitated? Does it clearly identify the circumstances when a successor is able to assume control? Do they have an attorney, accountant, or financial manager? If so, what are their names and contact information? Now, again, if you don’t know the answers to these questions, it should go without saying that you do not want to go to your parents demanding the answers—that will probably not work out so well and I’m certain will lead to a very uncomfortable conversation. What should you do? Part 2 of this series will discuss some options for educating yourself about your parents’ financial situation and how to help them if it’s necessary. Now, here’s a question for you–we’d love to hear from you and share your experiences with other caregivers. What other information would you want to know about your parents’ finances if you had to step in and help manage their funds? And, if this is something your family has had to deal with, tell us your story. Concerned about privacy? Just tell us you wish your post to be anonymous and we’ll remove any identifying information before it appears.